Do you love blow-drying and styling your hair? Of course you do right? But you are worried that your hair is getting damaged. Stop freaking out girl!We got you hooked for today. Next time, you style your hair you won’t be worried about your hair. Isn’t that awesome? Read on, to find out the secret to beautiful hair. Do you know what hair mask is? You must have heard about it but were too confused to apply hair mask. Let us tell you what Hair Mask is? If you’re styling your hair or you are experiencing your hair being frizzy and dry. You should definitely try using hair mask. Why? because hair masks are high powered conditioners. Hair masks can solve your all hair problems concerns. It will give volume to your hair and will repair any sort of damage, leaving your hair shinier and softer. 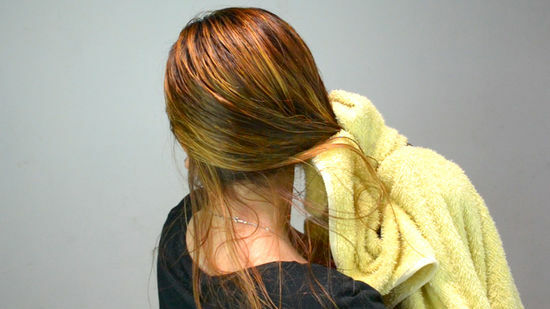 Also, if you have colored hair, the hair mask will keep your hair color for a longer period of time. Shampoo your hair first and then apply your hair mask. Start applying from your edges first, then apply moving along to the roots. Once applied then rinse out the hair mask and skip conditioner. Finally, you’re good to go to style your hair and slay all day. Its ingredients have moisturizing effects that deep conditions your hair. It will reduce greasiness in your hair. Its ingredients helps hair cure or seal the weak spots in your hair. As we experience harsh weather conditions, hair mask will lock the moisture in your hair strands. Implement this once a week. Most hair masks might not work for you, as every hair mask works according to the hair type you may have. Now girl, you know how hair mask does wonders to your hair. Let us know in the comments below whether you make your own hair mask at home or do you purchase any specific any product?